Affordable Japanese food every day, and for the past thirty years, Suzu Kin has been doing just that. And its comforting to know that Suzu Kin still serves the same great-tasting Japanese dishes at affordable prices. The close supervision of Mrs. Suzu Kin (yes, that's her real name) has ensured that the quality of dishes remain the same, as the iconic chain's rich heritage is passed on to new owners. And for Leslie dela Cruz, continuing the tradition of Suzu Kin remains a personal mission. Good food at reasonable prices, every single day. Two years in a row. Not bad. Homegrown chain Gerry’s Grill tops the “Restaurants in Philippines” list for the second year in a row, according to popular website lonelyplanet.com. The restaurant has also earned the number one spot in “Things to do in Manila”. Very cool. Gerry’s which bested 90 others for the top spot scored high on the areas of food, atmosphere, and service. “We have seen a marked increase in the number of foreign guests who would visit our branches to have a sampling of the best Filipino dishes,” says Gerry Apolinario, chief executive officer (CEO) and managing director of Prime Pacific Grill, Inc. (PPGI), operator of Gerry’s Grill. 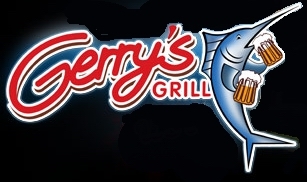 In 15 years since it commenced operations of its first restaurant at Tomas Morato Extension in Quezon, Gerry’s has expanded to more locations – particularly in key cities around the country with many tourists; among them Boracay, Cagayan de Oro, Cebu, Davao, and Baguio which experience very high traffic particularly during the summer season. “Whatever the time or occasion may be, we serve excellent Filipino food cooked to satisfy the most discerning of palates.”Among Gerry’s signature offers include Crispy Pata, Sisig, and Kare-Kare. Yellow Cab's new Garlic Parmesan Chicken Wings, available in 4, 6, and 12 full-sized pieces, are crisp and juicy, enhanced by the rich Garlic and Parmesan flavor. The Jalapeno Potato Wedges packs a soothing heat, just the perfect match with the new Garlic Parmesan Chicken Wings. Simply let your taste buds do the tango with this awesome new pair from Yellow Cab. It's rare to find classic cuisine at a bar, and rarer still to find good food in a hip bar. The cool vibe, the slick interiors and the sophisticated feel of the place add to one's dining experience at the URBN Bar & Kitchen. Classic Pinoy food, with an emphasis on barbecue dishes, cool. I was fortunate to sample some of Smokin Hot BarBQ's menu along with other bloggers, and the first set of starters, including the Crispy Bacon Belly, was definitely a good sign of things to come. The regular buffet at The Corniche is already impressive, but the Friday Lobster Buffet is a definite must try for seafood lovers. Fresh lobsters and a variety of seafood are the main attractions of the Lobster Buffet at The Corniche, including oysters, scallops, mussels, clams, crabs and prawns. And when you just can't have enough of lobsters, the different stations also feature lobster based dishes for a unique buffet experience. Very cool. Menchi (which means "minced"), is a traditional Japanese dish made with finely minced meat, basically a fried meat cake, coated in Panko then deep fried like the regular katsu. Definitely new and different, and the day seemed perfect to try something new and different. Comfort food, buffet style, in an ancestral home, can it get any better? An extensive selection of dishes, from starters to mains all the way to desserts, just the place for one cool dinner. It was my first time to visit Primero Casa Filipino, and I was there early. The dinner buffet service was being set up, and I had to restrain myself from grabbing a quick bite. As more dishes were prepared and displayed, the once empty food stations started to look real good. And with Primero Casa Filipino's reasonable buffet rates, it's a deal you just can't pass up. What's for lunch? Outback Steakhouse introduces its new Lunch promotion, "Great Meal, Good Deal" with a selection of signature dishes starting at only P 199. Now that's cool. I've always been a fan of Outback's classic steaks, serving a good quality steak without the usual sauce. Like they say, a good steak is all you need, no need for steak sauce. But Outback Steakhouse is more than just steaks. And now you can try some of Outback's other signature dishes for lunch from Monday to Friday up to 3pm for some of the best lunch deals in the metro. As with all of Outback's dishes, the Lunch items are made from scratch, ranging from pasta to meat dishes. There's nothing more comforting than a bowl of noodles. And if you're looking for authentic Tonkotsu Ramen, look no further. The newly opened Ikkoryu Fukuoka Ramen at Shangri-La Plaza's new East Wing offers an all Tonkotsu Ramen menu for your ramen fix. Ikkoryu Fukuoka Ramen is a restaurant concept under Yamagoya Ramen, a traditional Japanese chain established in 1970 specializing in Chikuho-style noodles with its signature Tonkotsu pork broth, Chashu roast pork and gyoza. Tonkotsu Ramen is a regional style of Ramen popular in the Kyushu region of Japan, known for its thin, straight noodles in rich and creamy pork broth. The distinct richness of the pork broth is a result of a lengthy boiling process which may take several hours or more using pork bones and special seasoning for that buttery and hearty flavor. Caffe Bene, Korea's largest and fastest growing coffee shop chain is now in Manila, with the first of many branches located at Eastwood City Walk 2 in Libis. The competitive local market is currently dominated by foreign brands, and Caffe Bene aims to achieve differentiation with its signature "medium roast" coffee and unique menu. And there's no better way to experience the "Bene Difference" than by tasting Caffe Bene's various menu items. Established in 2008 in Eastern Seoul by Mr. Kim Sun-Kwon, the Korean coffee chain has grown to over 800 branches including key locations in the US and China in a short span of four years. And Caffe Bene's global expansion has finally arrived in Manila, offering coffee fans more choices.